Join us at the Mother Road Market (11th and Lewis), for an amazing Succulent Planting Bar. Our design experts will walk you through how to create an arrangement, proper care for the arrangement, and other tips only the experts know. 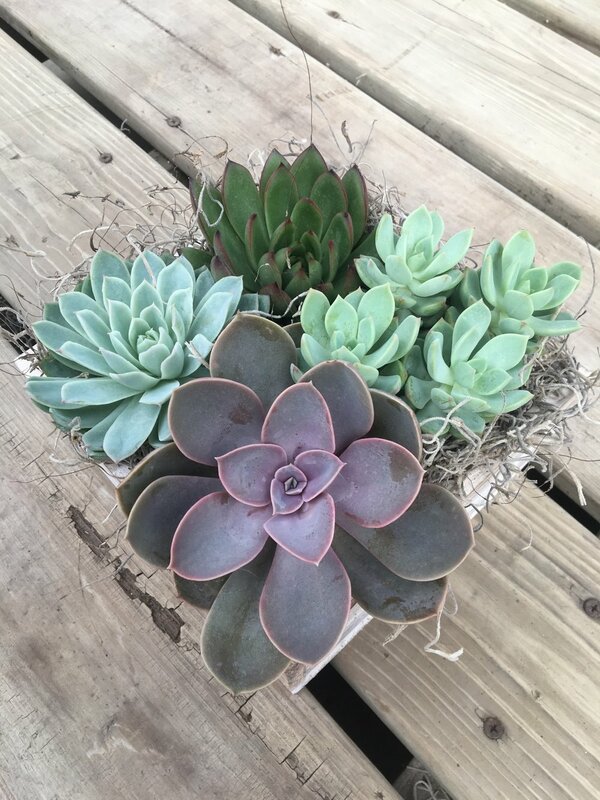 We will have a variety of succulents for you to choose from to add to these stylish vintage whitewashed boxes. Perfect for your desk, a nice bright area inside, or out on the patio. The cost is $40 per person.